We are pleased to introduce Charlotta Nilsson, our new employee in AxiQS. “Really looking forward to being part of such a fantastic company and concept development as AxiQS and SSFP,” says Charlotta. Charlotta is Agortus’s new Cultivation Consultant. 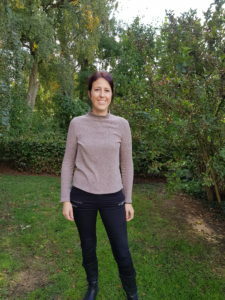 We welcome Charlotta as part of our growing team of enthusiastic employees within AxiQS, Agora’s business area specializing in the production of specialty seed for the world market. Charlotta is a key person for all our customers and growers, says CEO Olof H Christerson. Charlotta will initially develop our production business as a growing consultant. Intimately associated with this is market development. For Charlotta, a red thread has long been: focus on quality. Focus on satisfied partners and constant development and innovation. Warm welcome Charlotta, we hope you will be happy with us at AxiQS! AxiQS is a business area within Agortus AB and part of “Agortus Innovations”. The brand AxiQS is today synonymous with Agortus EIP project: “Swedish Special Seed Production” (SSFP), one of the Swedish Agriculture Agency approved innovation projects. The goal of SSFP is to develop Swedish production of specialty seed with the world as a market. Read more at www.axiqs.com. Another part of Agortus AB is Agortus Handel. The business area is today focused on trade of agro “specialties” such as and to develop catch crops for the Nordic market, but also inputs for the Nordic food industry and the European seed and grower market. For more information about Agortus AB, please visit our website: www.agortus.com.